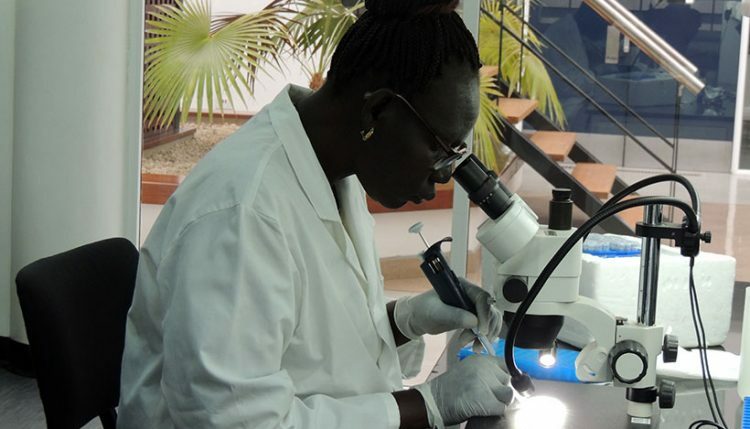 Although female representation in science careers is no longer a novelty, it is still a rarity to find women scientists from conflict zones such as war-torn South Sudan. Beatrice Langwa, a PhD student at the University of Juba in South Sudan, is challenging that narrative. She is undertaking her PhD with a scholarship from the Norwegian Programme for Capacity Development in Higher Education and Research for Development (NORHED) project. 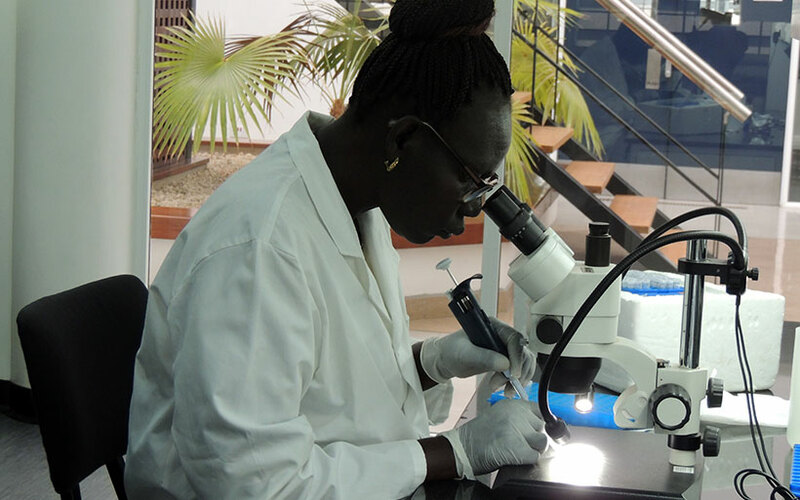 Beatrice Langwa in the lab at IITA-Tanzania. Langwa is studying sweetpotato viruses in three states in South Sudan, under the supervision of James Legg, IITA Plant Health Specialist based in Tanzania. Recently, she was at IITA Tanzania to conduct her experiments and analyses as the long years of conflict has left her country without research facilities. Sweetpotato is the second most important crop after cassava in South Sudan and therefore, according to Langwa, the study is significant because the findings will contribute towards finding a solution to control and limit the spread of the diseases. “It is important to identify the viruses that are spreading diseases and causing a lot of damage and destruction to sweetpotato and understanding how they are spread to find ways to control them. This is the first such study in my country,” she said. Langwa is also very appreciative of the support received from the Institute and especially from her co-supervisor, Legg. “IITA has been very supportive. The staff here are very good, cooperative, and ready to help. I have been learning a lot from them,” she said. She said she was grateful to IITA for the oppportunity to conduct the experiments at the laboratories in Tanzania as she cannot conduct the studies in her country. “I cannot do anything there at the moment,” she noted. Despite these challenges, Langwa continues to push for a better tomorrow for her country and a different narrative for women in the science.